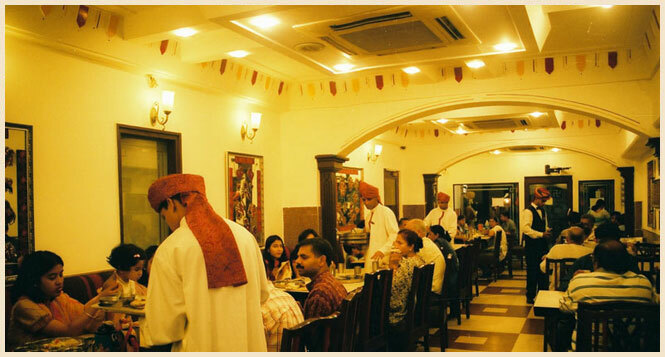 Suruchi Restaurant is a well-known restaurant in Karol Bagh, New Delhi. We offer delicious vegetarian food that is cooked by a team of experienced chefs at our restaurant. Our professional chefs focus on transforming food into fine cuisine to relish the taste buds of our customers. We also understand the fact that the guest coming to our restaurant expects unique and delicious food; so the team of chefs at Suruchi keeps on experimenting with the spices and herbs to bring different texture and flavour in the dishes. Apart from this, every dish is cooked with utmost hygiene by preserving authenticity as well as identity of Indian cuisine. Suruchi Restaurant always maintains the freshness and hygiene in the food it serves at the restaurant and delivers on order in Karol Bagh. In addition, quality consciousness is the foundation of Suruchi, so fresh raw ingredients are delivered at the restaurant daily. Suruchi Restaurant is reckoned among warm, contemporary and beautiful places to eat in Karol bagh. The restaurant is a perfect destination for those who love to taste different cuisines along with regional vegetarian food. We also provide home delivery in Karol Bagh and nearby places. We have a separate group of professionals to keep track of all the orders for home delivery. These professionals also ensure that food is being delivered to the right location and in right time. Suruchi is an award-winning restaurant always offers something tempting and appetizing to tantalize your palate. Apart from serving mouth-watering dishes along with providing a soothing ambience with personalized service, we also offer a perfect venue for organizing get-together, parties and birthday celebrations. Being the best vegetarian restaurant in Karol Bagh, we are committed to maintain highest standard of quality in our food and excellence in our service by offering the most luxurious and unforgettable dining experience!